Ok. So I found my favorite whiskey, what I would describe is as close to the world’s most perfect bourbon as you can get. 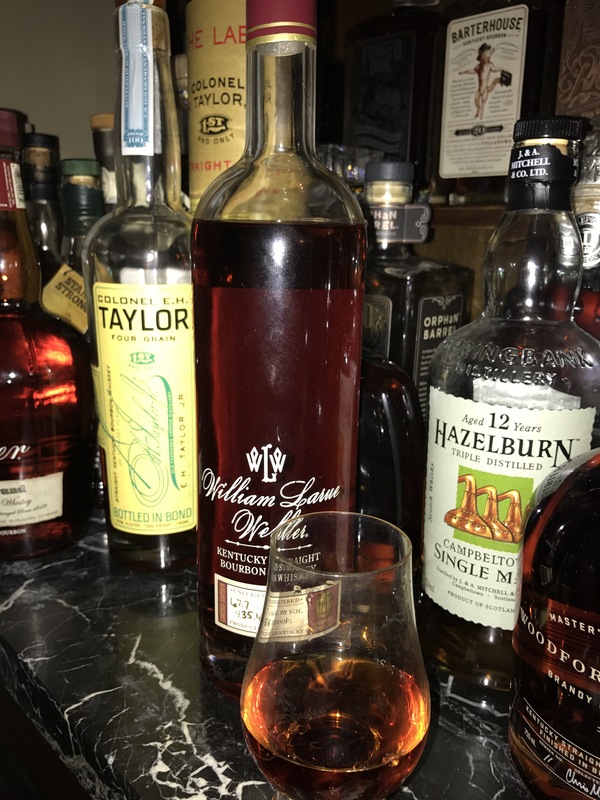 The Buffalo Trace Antique Collection William LaRue Weller wheated bourbon at cask strength. My bottle is 134.5 proof. I love wheated bourbon. I love cask strength whiskey. Never imagined both together. With just the right amount of oak forwardness, the nose and the palate are everything you expect from Weller and Pappy; just more of it with the oak being perfectly balanced with the wheat bourbon sweetness. It has that velvety mouthfeel Pappy does. It has a finish like George T. Stagg. Plato wrote about forms which earthly things and beings mirror imperfectly. This is the form of wheated bourbon. It may be the form of bourbon period. Sounds like a winner to say the least!